I checked all the other electrical systems, and everything else worked. David took me to Abbotsford and Langley in the Warrior. One concern on this flight was following a Cessna from a school on the Courthouse departure from Boundary Bay. 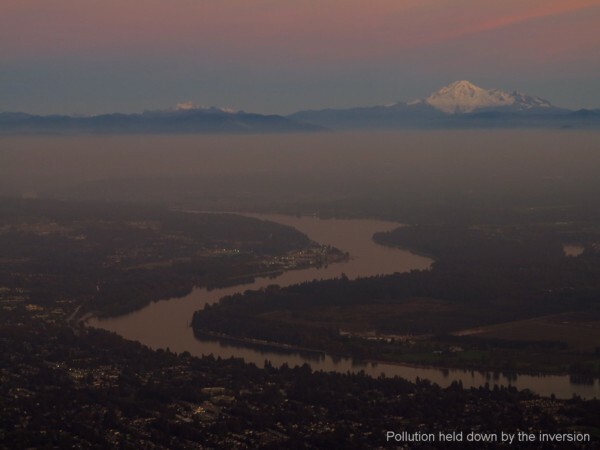 The objective of this departure procedure is to provide plenty of separation from traffic that may be approaching straight in to runway 25 and so it takes you well north of the Highway 99. The highway is kept on the right side of the aeroplane in this procedure. Apparently some instructors still insist on keeping the road line feature on their left as is the rule when flying cross country using a line feature as a ground reference. 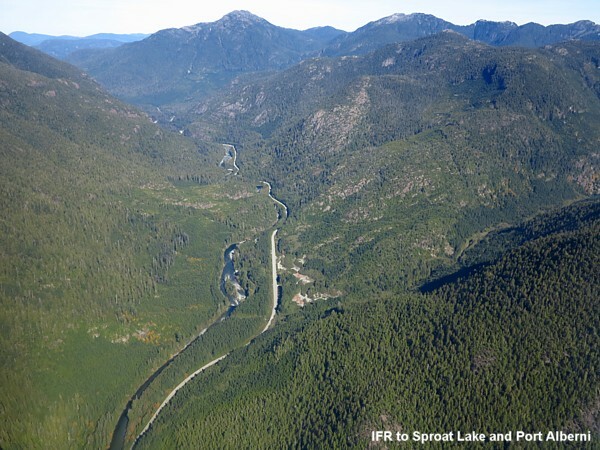 'Keep roads, rivers, and railway lines on your left when flying cross country'. But in this situation, flying with the road on your left puts you close to arriving traffic on final for runway 25 and so this procedure is an exception to the rule. Sometimes we need common sense in the way we apply the catch all rules of the air. Safety is always more important than blindly following a rule that has 'exceptions'. We picked up another tansponder at Langley and this proved to be operational in the Tomahawk during a test flight later. 26th September. 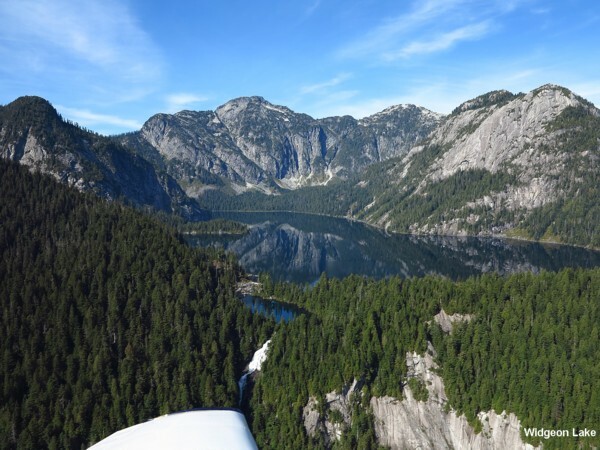 Daryl wanted to go to Tofino in the Tomahawk and so we filed a flight plan and flew via Active Pass, Cowichen Lake, Nitinat Lake, and over the gravel pile strewn Bamfield airstrip. Bamfield is not usable at this time. When approaching Tofino these days you call "Hardy Radio" (Port Hardy FSS). In the past we used to call Nanaimo Radio for this remote service. 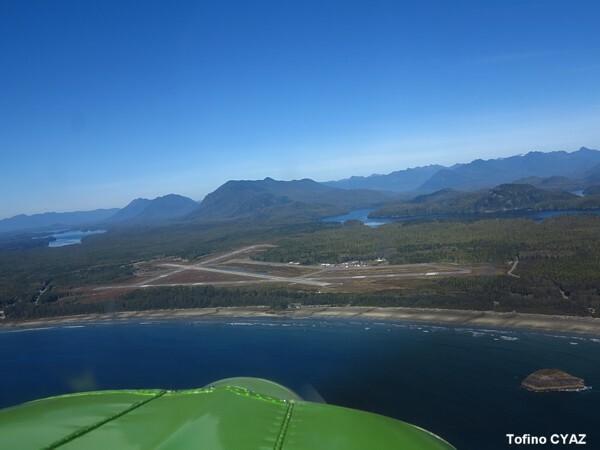 Tofino has a Mandatory Radio zone as it has IFR approaches. It is important to check the temperature and dewpoint spread before coming here, and keep an eye on this as Tofino is noted for fogging in quickly! Takeoff was at 11:15, and landing was at 12:41. I met the lady owner of the long range Pitts Special who had flown it out from Ontario in order to work here flying seaplanes. She is intrepid, and mentioned taking it back to Ontario soon for maintenance! Ryan and Marilyne turned up too with two visitors from France, they were in a new Fiat 500 and here to go surfing. The intrepid lady pilot flew her Pitts from Ontario to be a professional seaplane pilot at Tofino. 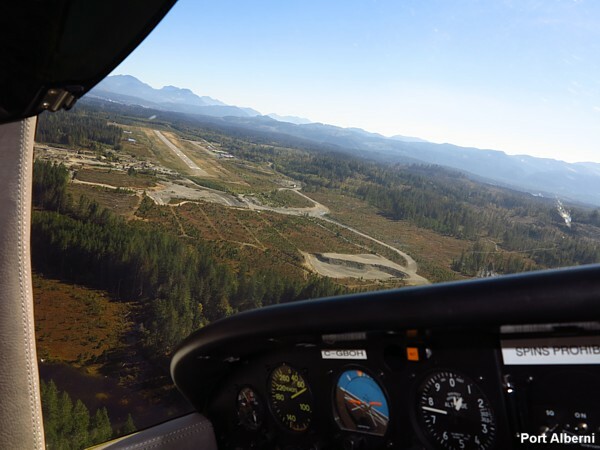 At 13:47 we took off from Tofino and flew via the highway to Port Alberni. This was another exception to the rule as lift was to be found on the left side of the valley, keeping the road on the right. We should not fly in sinking air just to keep the road on our left! Port Alberni used to be a gravel airfield in the town, now it's removed from the there and has an asphalt runway capable of taking the big jets. There was a Boeing 727 outside, and a 737 being worked on in the hangar, and a bizjet too. 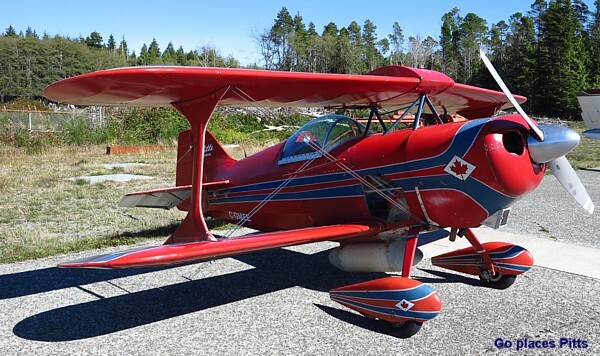 The cadets were flying their Schweizer glider, being towed by a Cessna 182, and the local civil gliding operation were doing tourist flights in the PW sailplane, towed by a 150hp Piper Pawnee. The 'new' Port Alberni Airport accommodates jets such as a 727 and a 737. It is also a gliding field. 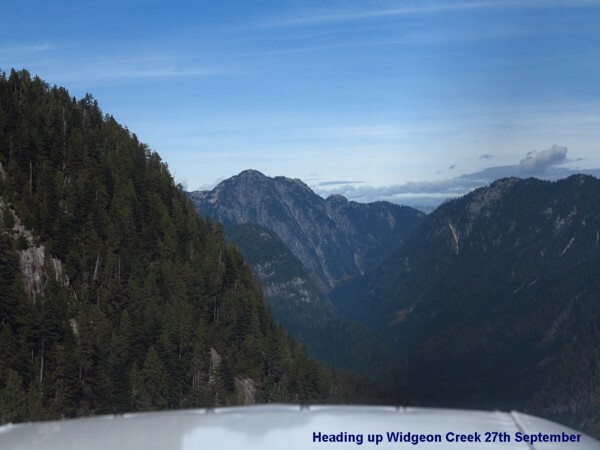 We arrived at Port Alberni at 14:18 and departed again at 14:53 for a nineteen minute flight to Qualicum Beach for fuel and food. The airport restaurant is very good; fish and chips for me followed by a naughty chocolate torte. We added 57.8 litres of Avgas 100LL at I believe $1.92 a litre. Departure was at 16:39 and we flew across the Strait to Half Moon Bay, and along the coast past Sechelt to Bowen Island. The harbour was very busy and so we transitted the north shore to the Second Narrows, then back to Boundary Bay via the Fraser river. 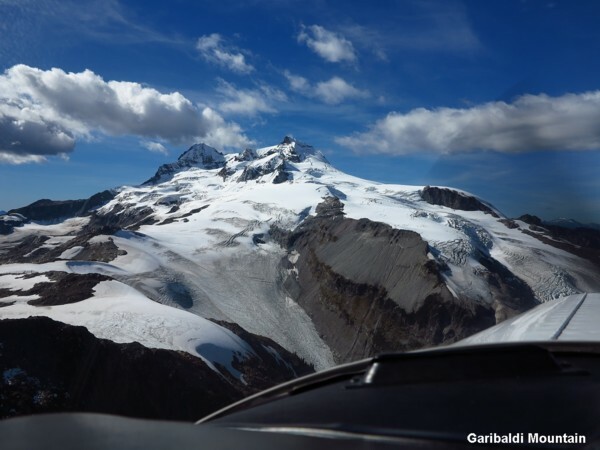 Pascal was waiting to fly with me, and so we took off again to do a check flight in the Pitt Lake area. Airborne at 18:35 we flew for and hour and a minute, did some airwork (steep turns, stalls, spins) followed by four circuits. Approaching for the last landing the circuit breaker for the navigation lights popped... Another snag... The nav lights were wired through the instrument dimmer, and used the same circuit breaker rather than the separate nav light circuit breaker! This snag has now been fixed. 'Went on a Tomahawk Check Flight after returning. I met Peter when he was on a flight to China in a Mooney from France. I helped with an oil change, and spark plug service at Nok Airfield in Thailand. I was mentioned in the article he wrote about this epic trip in Flyer Magazine as we also went to the Robin Hood Pub on Sukhumvit Road when the Mooney flew into Don Muang Airport on its return from China. Serendipity meant meeting again at Sywell at the end of August, beginning of September. He mentioned coming to Vancouver, and so a flight had to be done! Take off in the Warrior was at 12:47, and landing at Squamish was at 13:46. 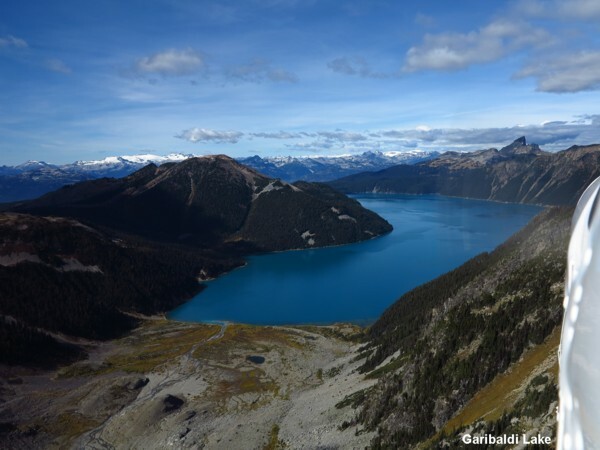 Once again we went on the scenic flight up to Garibaldi Lake, but this time straight from there to Squamish. 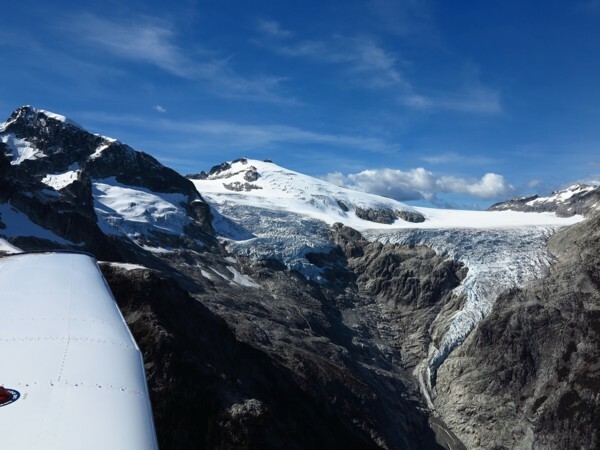 As normal Glacier Air at Squamish was welcoming and there was milk in the fridge for tea. François had some bread and brie cheese, and the apricot jam I bought while ago was still there, so we managed to make a good lunch before setting off back to Boundary Bay. 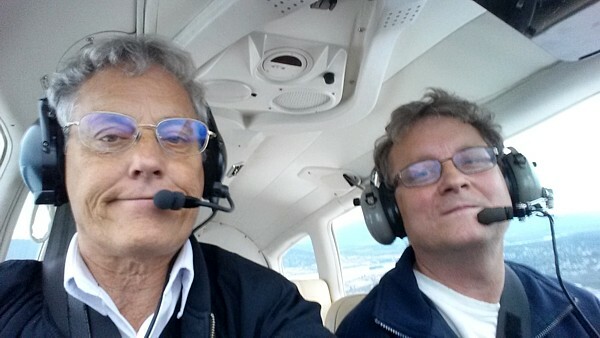 At 15:20 we took off to route via Howe Sound and Vancouver to arrive at Boundary Bay at 15:57. It was a memorable trip for Peter, and did not cost him too much trouble with she who must be obeyed as we took him back to the skytrain to be only a little bit late getting back to the hotel in downtown Vancouver. There was a BBQ at Langley when I arrived there. Well fed! On Saturday I was able to fly to Nanaimo with Larry, our onsite licenced engineer, to visit his daughter and grand daughter. There was much reporting of moderate to severe turbulence during the time we flew to Nanaimo and back. We had a couple of instances of subjective light to moderate turbulence. Flying with my brother Saturday evening in the Warrior, we went to Pitt Meadows for a touch and go. Final approach to Boundary Bay 07 with a flock of seagulls threatening to collide with us.